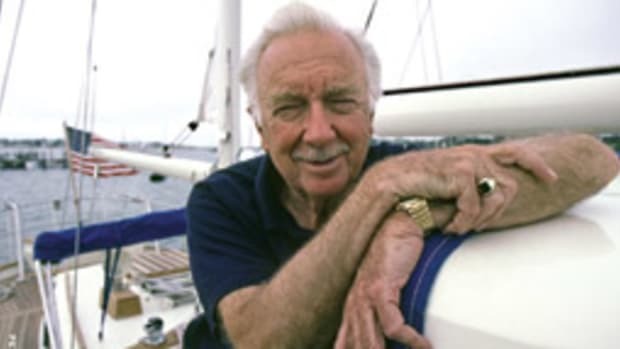 Jack Sherwood was a character who loved to write about characters — watermen, boatyard workers, vagabond cruisers and others he encountered on and around Chesapeake Bay. 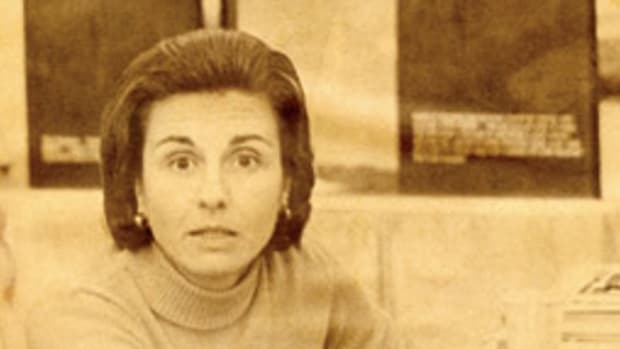 A onetime feature writer and columnist for the Washington Star, Sherwood crafted the monthly Bay Tripper column for Soundings for nearly 20 years. 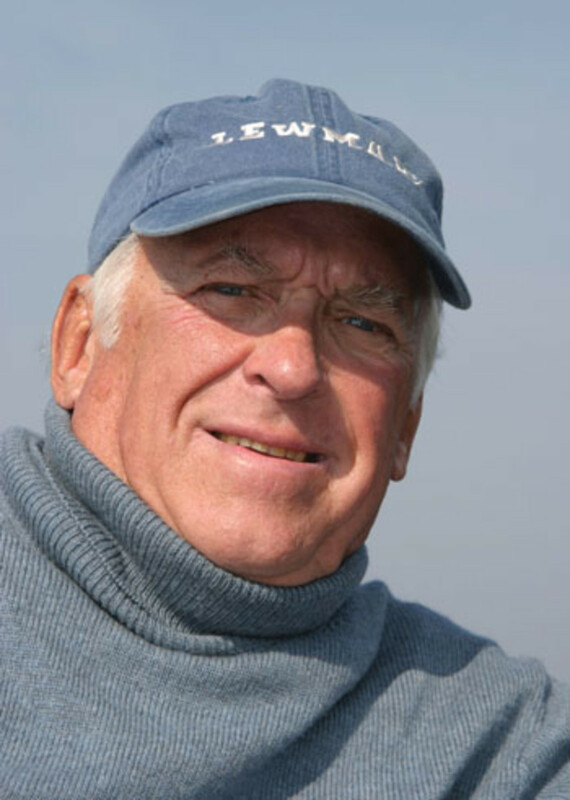 His last piece, in the September 2014 issue, was about a cherished summer outing with his granddaughter Claire aboard his beloved Sparkman & Stephens-designed Sailmaster 22, Erewhon. Sherwood died Dec. 7 in Maryland of cancer at the age of 84. Sisson fondly recalls Sherwood’s columns about Capt. 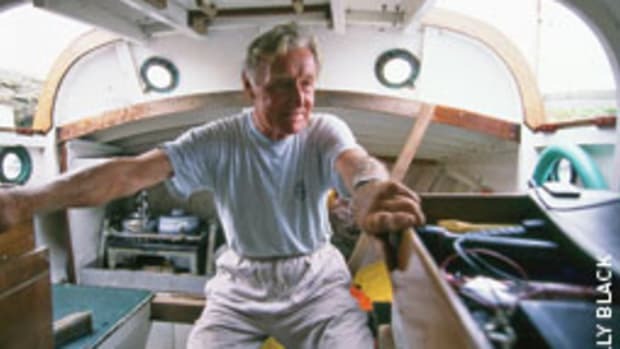 Freddy, the homeless sailing veteran of the Florida Keys, and those about a former Washington, D.C., lawyer and liveaboard who kept popping up at anchorages in his junk boats until he (and his junks) finally disappeared. Another of Sherwood’s friends, Winston Groom, a Southern novelist and nonfiction writer and the author of Forrest Gump, bought the boat. He sails it in Mobile Bay, Alabama. Groom and Sherwood were reporters together at the Star. In a remembrance in the Annapolis Capital Gazette newspaper, Groom writes, “With a Runyonesque flair, [Sherwood] brought alive the likes of ferry-boat operators, tea-room waitresses, pigeon racers, Linotype workers, toll-booth trolls, tugboat drivers and hundreds more of such ilk, who likely never dreamed they were important enough to decorate the pages of a big-city newspaper or a magazine — as well as individuals with delusions of grandeur. Better yet, he made the reader understand their importance, too. “Sherwood’s great gift was the ability to discern hidden, intriguing facets from the hoity-toity to the hoi polloi,” Groom adds. “He could make them talk about themselves, often by asking innocently outrageous questions. Take Tony, an 81-year-old Italian bread baker in Baltimore’s Little Italy, who spurned retail customers wanting to buy a loaf from the bake shop below his dingy row house apartment, which his father, ‘Poppy-pop,’ had started in 1914. Sherwood asked him about retirement. 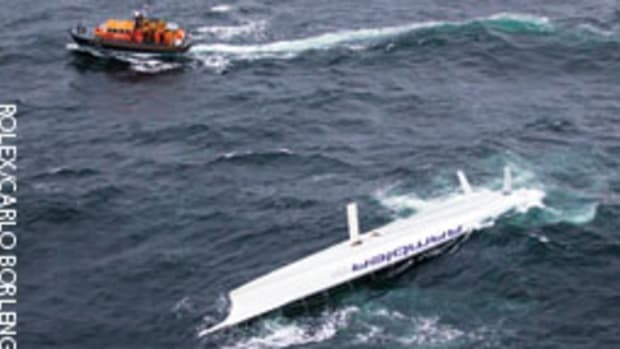 Sherwood’s last column was in the October 2016 issue of Spinsheet, the Chesapeake Bay sailing magazine. 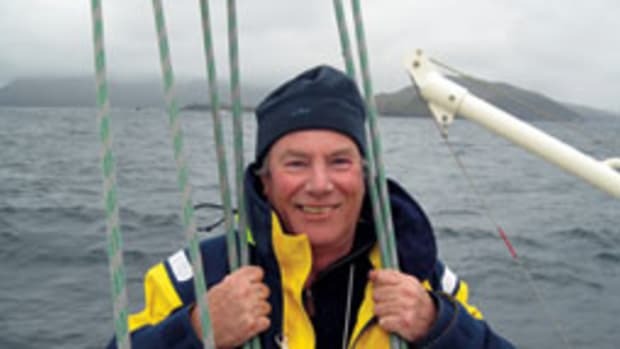 He spoke of “an unfortunate illness” that had persuaded him to sell Erewhon and retire from solo sailing. “My demanding, intimate and all-consuming relationship with a classic Sailmaster/C sloop built in Holland has run its course after 30 years of cruising the middle Chesapeake Bay and its environs,” he wrote. Over time, Sherwood tricked out Erewhon for single-handing — he preferred to sail alone — with innovative ideas and solutions. 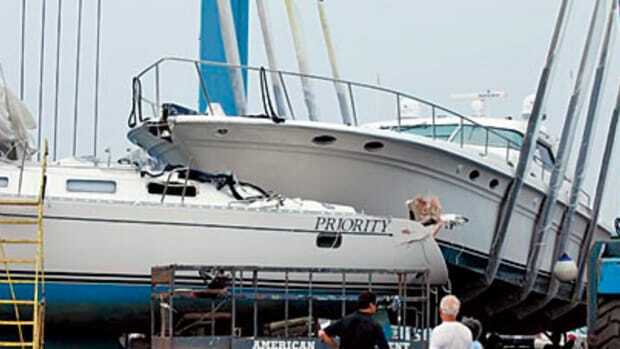 “The boat never failed me in three decades,” he said.